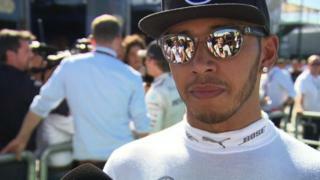 Mercedes' Lewis Hamilton says he was "all over the place" after finishing sixth in the 2015 Hungarian Grand Prix. Ferrari's Sebastian Vettel took a surprise win, while Nico Rosberg finished eighth after a late puncture. The result means Hamilton, in the most unlikely circumstances, extends his lead over Rosberg to 21 points.